On the morning of September 1, in the “Hamid Mir Show” aired on the newly launched GNN TV channel, Barrister Aitzaz Ahsan, a top PPP leader denied outright the allegation that he had passed on the lists of Sikh militants to India during the first government of Benazir Bhutto. 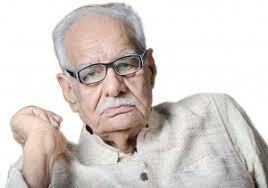 We take him at his word, however, this being an old controversy, a notable Indian journalist Kuldip Nayar, who passed away a few days ago, revealed to the contrary in his autobiography “Beyond the lines” that the names of Sikh militants were indeed passed on to India. I quote Kuldip: “What greatly helped [Indian] Punjab to eliminate militancy was Islamabad’s gesture. It is significant that the civilian government in Pakistan which had come to power in the wake of military rule provided India with the names of the militants who had once taken shelter in Pakistan, and this helped in uprooting militancy from Punjab.” (p 299, Roli Books, New Delhi, 4th edition, January 2013) His memoirs contain a wealth of equally other interesting nuggets of information. Lessons of history are often not learnt. Violence cannot be a solution to any political problem. After permanently scarring the Sikh psyche, the Indian authorities have continued to use violence to crush the Kashmiri freedom movement. Salman Rushdie, an eminent public intellectual and a friend of India urged that India must concede the right of self-determination to Kashmiri Muslims and when he was confronted that such a move would adversely affect the rest of the Indian Muslims, he replied that the “Indian Muslims were not hostages; they were Indian citizens who were entitled to equal rights.” So horrendous had become the repression that even Kuldip was compelled to confess, “If ever the history of ‘zulum’ by the security forces is recorded, the interrogation centres in Indian-held Kashmir will rank quite high up the ladder.” Such cruelties have forced many Kashmiris to seek solution in the “Two-Nation” concept to break away from India and a daring Kashmiri freedom fighter cautioned Kuldip that if things did not change for better, Indians might have to seek ‘visa’ to enter the held Kashmir. One reason why the affairs in India had become so sordid was due to the “total negation of morality from politics” even in the highest echelons of power. Premier Chandra Shekhar’s forty-day government has the dubious distinction of being the most corrupt government in India. Prime Minister Narasimha Rao is known to have accepted a suitcase-full of cash to facilitate the corporate sector and Premier Rajiv Gandhi felt no qualms in stashing kickbacks in a foreign account in the Bofors scandal. Talking about prime ministers, Kuldip Nayar informs that during a summit meeting between Premiers Inder Kumar Gujral and Nawaz Sharif to resume trade, when Nawaz did not raise the issue of Kashmir in the discussion, a Pakistani bureaucrat reminded, “Mian Sahib, what about Kashmir?,” the poor fellow was given a short shrift by Mian Sahib. Pakistan’s suspicions about India’s nefarious intentions are not misplaced. Ghaffar Khan, the leader of the Pakhtoon “Red Shirt” Movement acknowledged that Nehru had promised to fight for the cause of Pakhtoonistan. Moreover, after the execution of ZA Bhutto, his elder son Murtaza Bhutto wanted to set up an “émigré government” in Delhi which Indira did not permit yet promised to assist him otherwise. 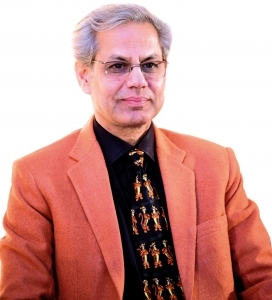 In addition, when Vajpayee visited Kabul as the foreign minister, the Afghan Premier Hafizullah Amin of the Khalq Communist Party suggested that “India and Afghanistan should jointly wage a war against Pakistan and divide the country between them.” All this seems bewildering, nonetheless, it has come from the pen of a leading Indian journalist who authored several books and served first as a High Commissioner and later as a member of parliament. Anyone interested in understanding power and politics of India just cannot ignore Kuldip Nayar.